Ownership of the world’s rural lands and natural resources is a major source of contestation around the globe, affecting prospects for rural economic development, human rights and dignity, cultural survival, environmental conservation, and efforts to combat climate change. Communities are estimated to hold as much as 65 percent of the world’s land area through customary, community-based tenure systems. However, national governments only recognize formal, legal rights of Indigenous Peoples and local communities to a fraction of these lands. Some countries are in the process of recognizing communities’ rights, and estimates from those countries provide some indication of the size of these gaps in recognition. 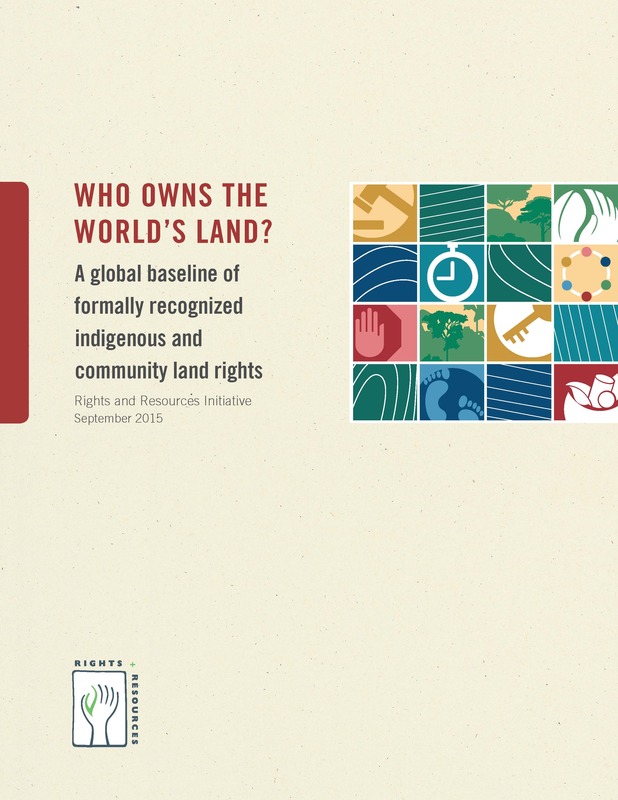 As demands for land tenure reform increase and national processes to recognize land rights advance, this report provides a baseline that documents the current status of formal, statutory recognition of community-based tenure. A large proportion of the lands formally recognized as owned or controlled by Indigenous Peoples and local communities is found in only a few countries. In more than half of the countries studied, Indigenous Peoples and local communities have no formal, legal avenue to obtain ownership of their lands. The area formally recognized under statutory law is much less than the area to which Indigenous Peoples and local communities hold customary rights. Who owns the World’s Land? from RRI on Vimeo.